Mahadev Wheelchair Van Conversions Richmond BC Canada V6X 1T3. We are proud to provide wheelchair access vehicles for private and commercial use since 1999. Our products are crash tested to meet compliance with CMVSS / FMVSS (Canadian Moto Vehicle Safety Standards / Federal Motor Vehicle Safety Standards) and CSA D409. 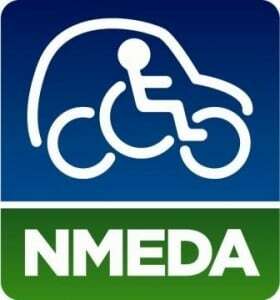 We are also a recognized member of the National Mobility Equipment Dealers Association Inc in Canada as well as the United States. Our main objective is to provide safe, convenient, affordable and reliable mini vans of individuals with disability, who require the use of a wheelchair or a scooter to be mobile. 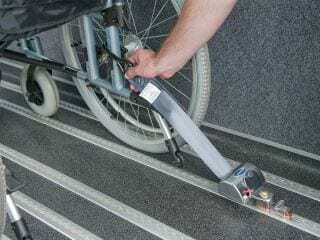 Our conversions are all equipped with Q’Straint, restraint belts and anti-slip flooring. Our plant is located in Richmond, British Columbia, Canada. If you have the need for affordable and dependable transportation look no further. We offer vehicle conversions with those needs in mind. We can provide new and used conversions with a choice of rear or side entry. Our conversions are used by many personal, taxi and service industries. Our vehicles are manufactured with your personal needs and safety in mind. Give us the opportunity to show you how our conversions can improve your ability to travel around your world. The rear entry conversion provided by Mahadev MMW&F is acclaimed by our valued clientele for being the least intrusive conversions available. Our envied construction process ensures the integrity of the vehicle frame to the original specifications as when it came off the production line. 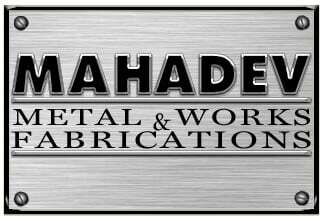 Mahadev MMWF does not compromise the tensile strength of the vehicle. We do not cut the frame. Instead, we cut a lowered floor channel between the frame rails. This procedure allows the original “ride” of the vehicle to remain unchanged.